Today, the nationally determined contributions under the Paris Agreement are leading us towards a global warming of around 3.2°C. According to a recent UN report, a tripling of efforts may be needed to keep warming to below 2°C, a goal formulated in the Paris Agreement and in the 2030 Global Agenda for Sustainable Development (Agenda 2030). But how can we accelerate the transition to a low-carbon society when a non-negligible section of the population perceives it as a social injustice, which has negative impacts on employment and the purchasing power of households? The dependence of our development model on energy, especially fossil fuels for travel, undeniably creates losers, who tend to be the poorest and most vulnerable. Inequalities manifest themselves in access to natural resources, particularly energy: for example, the share of the household budget allocated to energy (fuel, heating) is proportionately much greater for low-income households than for wealthy households. The reduction of inequalities is now at the core of the international and national political agenda. At the international level, issues of justice and equity are central to international standards and agreements on sustainable development. Thus, the Paris Agreement recognises the principle of common but differentiated responsibilities and respective capacities, which enables the fine-tuning of the conventional obligations of states, according to the level and needs of their development. At the centre of the 2030 Agenda is a cross-cutting principle that applies to all of its Sustainable Development Goals (SDGs): leave no one behind. It also includes a goal that is specifically dedicated to reducing inequalities (SDG 10), along with related thematic targets and means. The President of France, Emmanuel Macron, has made the reduction of inequalities a key issue for the G7 that will meet in August 2019 in Biarritz. It is also a major cross-cutting priority for NGOs and associations as part of their contribution to the national roadmap for SDG implementation. The Sustainable Development Goals: the glue binding the social-ecological pact together? Firstly, the establishment of wealth indicators other than GDP is essential to measure the impact of the transition regarding its effect on human well-being, rather than in terms of the GDP growth that it could create. Today, GDP growth is an indicator that is used as an ultimate goal for societies. However, it is not appropriate to address the many crises of the 21st century, such as climate change, biodiversity erosion, poverty and growing inequality, the decline of social cohesion, and the democracy crisis. In fact, GDP growth exacerbates – if not, causes – these crises, since exponential material growth is impossible to maintain sustainably in a finite world. In France, the 2015 adoption of the Eva Sas Law, which aims to take into account ten new wealth indicators in the definition of public policies, is an important, but insufficient, step. Since 2015, the French government’s publication of the annual report on these new indicators has been disconnected from national legislative processes, particularly from the budget preparation process. Thus, the purpose of these indicators is today more political (even symbolic) than it is instrumental (budget preparation, evaluation of public policies, etc.). Although the 2030 Agenda, a compromise derived from two years of intense negotiations between developing countries, developed countries and civil society, does not undermine GDP growth as a social project, this new global framework of public action offers all actors, state and non-state, the opportunity to use social-ecological indicators to monitor the implementation of this agenda at national and local levels. For example, civil society actors can already assess their projects using these indicators to identify their positive or negative externalities, or conduct counter-evaluations of local or national public policies. Secondly, it is important to accelerate ownership and acculturation of the SDGs by all actors, state and non-state, by developing impact assessments. States, communities, NGOs, and companies can no longer develop public policies, action strategies or projects without considering and taking into account their impacts on sectors that are outside of their usual sphere. This entails developing tools to characterise and assess these impacts: for example, regarding the energy transition, an ex-ante assessment of the draft laws proposed by government or parliament, or strategies and projects developed by non-state actors, should be systematically carried out to improve their coherence with social objectives relating to the fight against social and territorial inequalities. In France, Senator Franck Montaugé’s bill is a step in the right direction. Its purpose is to establish a Parliamentary Council for the evaluation of public policies and well-being, whose mission would be to “inform Parliament on the consequences of public policies on the well-being of populations and sustainability”, on the basis of an assessment carried out from the ten new wealth indicators of the Eva Sas Law. This bill, which was referred back to committee in March 2018, could be enriched with the integration of the SDG’s 98 monitoring indicators, proposed by France’s National Council for Statistical Information (CNIS) in June 2018. A second option would be to seize the opportunity presented by the “large-scale consultation on the ecological transition” organised in January 2019 by the French government to carry out this assessment to stimulate debate. There is also a need to strengthen the role of citizens and the individual dimension in SDG implementation. Fostering individual change requires an improvement of its social acceptability, and therefore to consider the diversity of socio-economic situations and inequalities that can be created or reinforced by measures to accelerate the transition to a low-carbon society. It is therefore necessary initially to clarify this diversity of situations and, based on typical profiles determined according to different socio-demographic criteria, to anticipate the inequalities that could be faced by citizens who would engage in the transition. Based on these typical profiles, individual transition prospective scenarios should be developed to enable everyone to plan for a successful life in 2030, and to evaluate their own potential for action. Association 4D, through its Our Life 21 tool, which describes individual prospective stories developed on the basis of internationally agreed targets and scientific scenarios, is a pioneer in this area. The comparison of the prospective stories of the energy transition undertaken by 16 typical families shows that there is a transitory risk of aggravating inequalities among individuals in terms of energy consumption and GHG emissions by 2030, which in turn could widen socio-economic inequalities in the event of an increase in energy prices due to the introduction of a carbon tax. 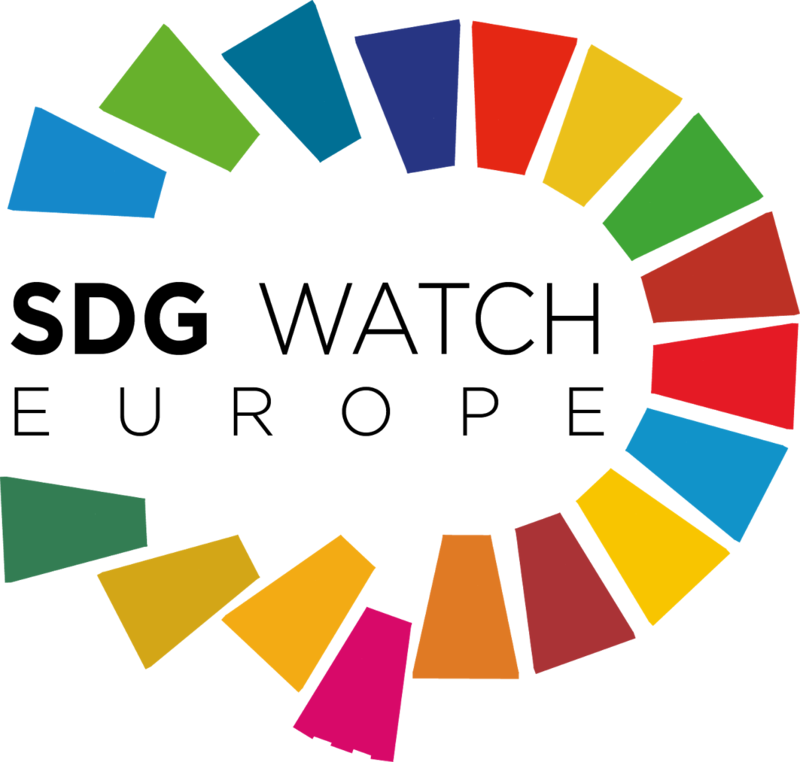 By developing this tool in the framework of SDG implementation, Association 4D aims to highlight the diversity of individual transition trajectories, identifying the capacity for action of each one, and also the obstacles to individual change (socio-economic and territorial inequalities), and the public policies needed to catalyse citizen transition towards sustainable development. Finally, it is necessary to support the transition of the most vulnerable by establishing compensation instruments within climate change public policies. The social acceptability of the energy transition, and in particular the ecological taxation around which the social unrest in France has crystallised today, faces two main pitfalls. Firstly, most of the revenue from this tax is allocated to the general state budget, although research has shown that acceptability increases if ecological tax revenues are dedicated to the transition (Hourcade and Combet 2017, Sénit 2012). In 2018, for example, only 560 million euros out of the 4 billion euros of revenue generated by the carbon tax were allocated to the energy check, a compensation mechanism designed to help the poorest households. While the budget allocated to the energy check should reach 740 million euros in 2019, this increase remains too low to both compensate energy inflation (+20% in 2018 for gas, +1.7% for electricity) and help the most vulnerable to sustainably escape from energy poverty. Secondly, the increase in ecological taxation was carried out in a generally unfair fiscal context, marked by a decline in the purchasing power of the poorest following an increase in indirect taxes and decrease of family benefits, a major tax giveaway to the wealthiest (elimination of the wealth tax, decrease in corporate tax), who are sometimes also the most polluting, and the exemption of some very carbon-intensive sectors (aviation and sea transport, for example). While the government focuses its efforts on the reduction of public spending, it seems unlikely that the resources allocated to the energy transition will be sufficient to improve its social acceptability. For example, the annual renovation of 500,000 homes, an objective that was reaffirmed as part of the new Multiannual Energy Plan (PPE) presented by the government on 27 November, is underfunded. Indeed, the energy transition tax credit, the main tool dedicated to the renovation of private housing, saw its budget halved in the 2019 draft budget law, from 1.6 billion Euros in 2018 to 800 million Euros in 2019. According to I4CE’s 2017 Landscape of Climate Finance, the government should invest an additional 2 billion euros a year to meet the PPE’s energy renovation targets. Another example is the mobility bill, presented on 26 November, which does not challenge the place of the private car in mobility, and leaves aside public transport and the necessary public investments for its development, despite its importance for the reduction of social and territorial inequalities. Here again, the SDGs can be useful: the assessment of the state budget in light of the SDGs would improve the coherence between the means allocated to the various sectoral public policies and the social and environmental values ​​and objectives listed in the 2030 Agenda (solidarity, equality, inclusion through access to basic human rights for all, fight against urban sprawl, etc.). The current protests of the Yellow Vests do not reflect a rejection of engaging in the energy transition and the fight against climate change, but rather a rejection of injustice. We have provided four avenues that could potentially enable the SDGs to become the glue that holds a future social-ecological pact together. These include: employment rate, research effort, indebtedness, healthy life expectancy, life satisfaction, income inequality, poor living conditions, early exit from school system, carbon footprint, and land take. Target 8.1 thus aims to “sustain per capita economic growth in accordance with national circumstances and, in particular, at least 7% per annum GDP growth in the least developed countries”. For example: family situation (couple with or without children/single with or without children), geographical location (rural/peri-urban/urban; mountain/plains/coast), main transport mode (private car/public transport/soft mobility), type of housing (collective/individual; old/new), income level, socio-economic category. In particular, scenarios from the IPCC and from the Deep Decarbonisation Pathways Project developed by IDDRI. See also Chancel & Piketty (2015). Carbon and inequality: from Kyoto to Paris. Paris School of Economics, Working Paper. See for example the OpEd by Lucas Chancel in Libération. See the IDDRI study on integrating the SDGs into national budget processes.